This is the quickest and easiest salad ever, it literally takes less than 10 minutes to prepare and it’s ultra healthy. The noodles are at the same time crunchy and soft and the dressing just makes it heavenly perfect. I used carrots and courgettes as they are my favourites but you can let your imagination go wild and try different vegetables. You can serve it as a starter or a have it as a light meal. I have only one warning – it’s completely addictive! To make the noodles you can use either a Spiralizer or a Julienne peeler. 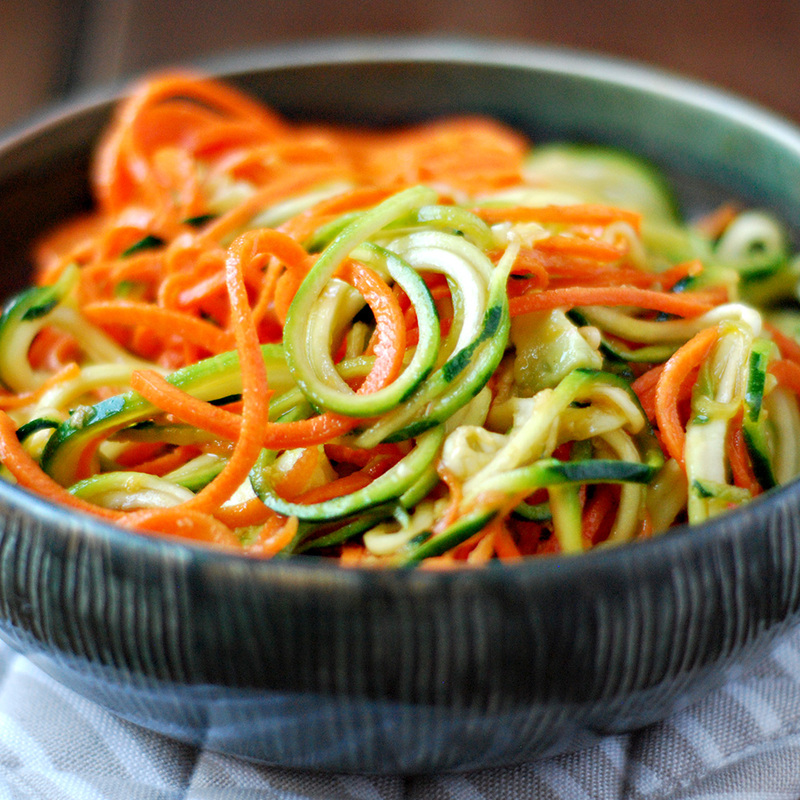 If you are using a Spiralizer just work your way through the vegetable. If you are using a Julienne peeler grab courgette and carrots and peel away like you would a normal peeler. Transfer the noodles plus the avocados to a big salad bowl. Mix the rest of the ingredients and season the salad to taste.